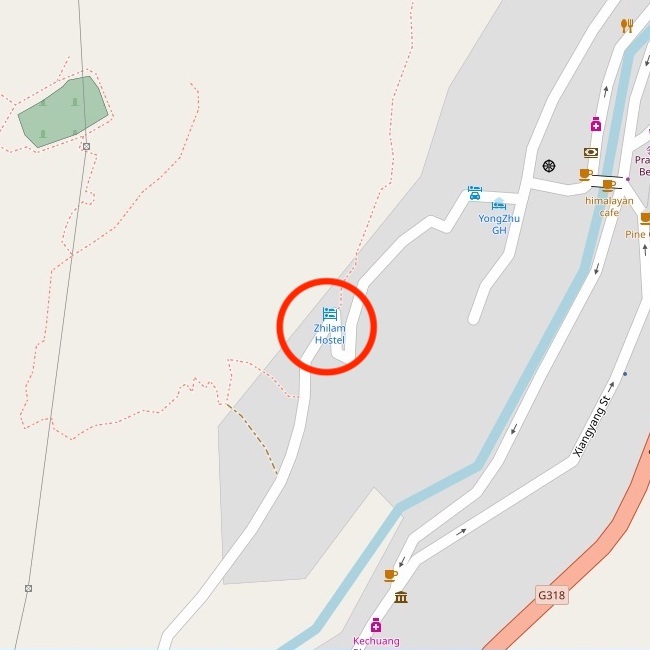 This is our correct location on maps.me. We are working to get the incorrect ones removed, but in the meantime, hopefully having this link helps! 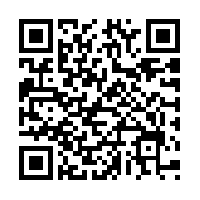 Click on the image on the left, or scan this QR code with your phone to go to our location on maps.me! 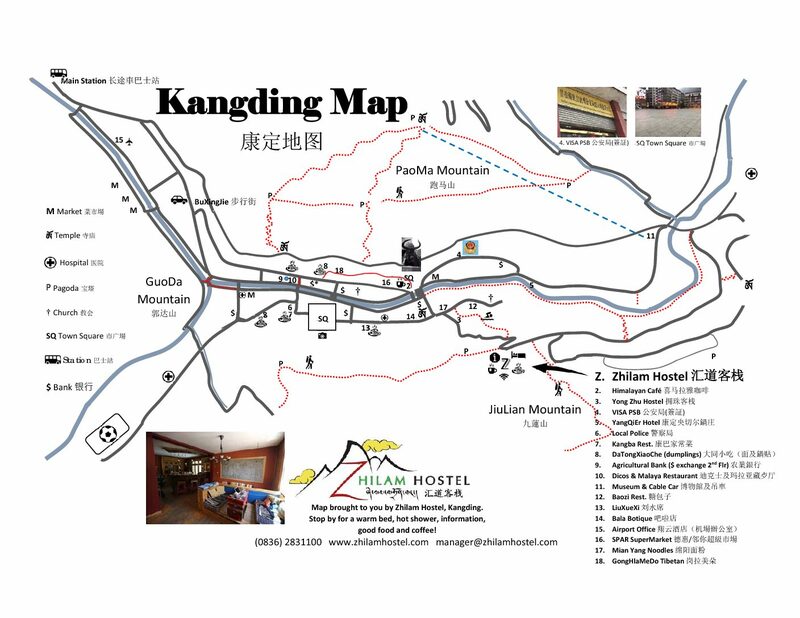 We’ve created this map of the city you can use to find your way to us once you arrive, as well as a few of our recommendations of places in Kangding. Click on the image to open the image in it’s own window so you can download it! 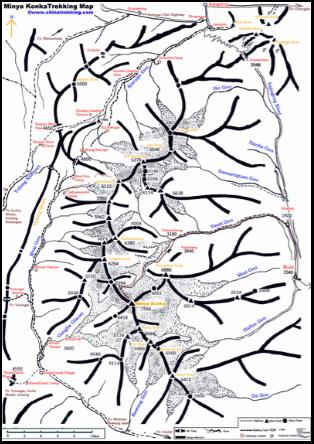 There isn’t a lot out there for trekkers, but this is a pretty good map that shows the valleys and campsites on the Minya Konka Trek. 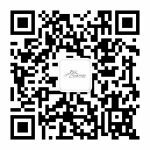 For those who enjoy using Google, here is one of our region. Note that this may not be visible in China. 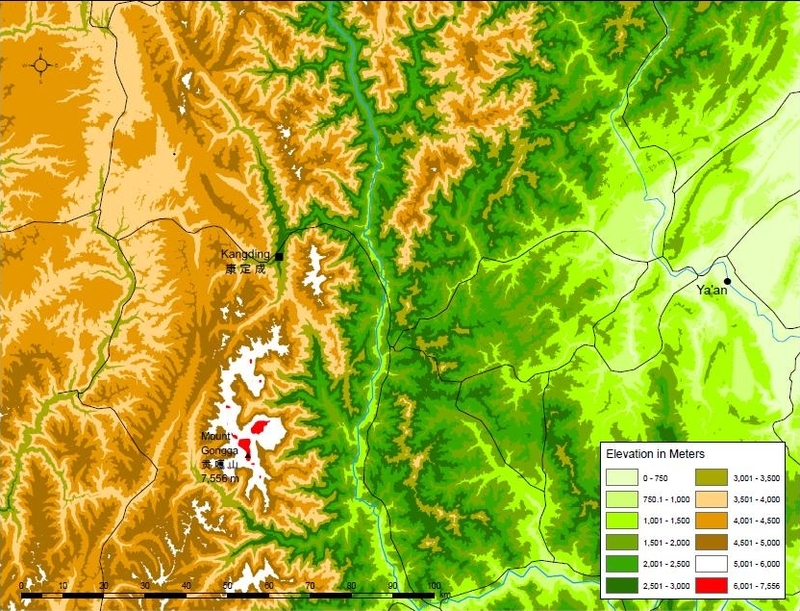 This map shows the elevation variance in and around Kangding.